Are You Losing Hair? Eat These Types of Food to End Hair Loss for Good! Starting to lose hair is one of the things that so many men dread. They think about this when they are teenager and see their father getting older and losing hair. They think about this as a few pieces of hair more than usual start dropping into the shower when they are in college. They think about this as they hit their 30’s and 40’s and even older. If you are concerned that you are losing too much hair already and you want that to end for good, just eat certain types of food. You may not have known that eating better foods will help you to prevent hair loss but it will. Hair loss can affect anyone but if it is affecting you, it is time to do something about it. 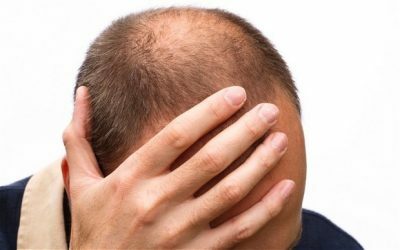 One of the first things to do, before finding out what types of food you should be eating, is to recognize why you are losing hair. Sometimes there is no way to figure this out. However, you can think about it and see what you come up with. Do you have family members who lost hair earlier in life? If so, this could be genetics for you. Have you been diagnosed with hypothyroidism? If so, that could be causing your hair loss. Are you going through any hormonal changes? If so, this is a common cause for hair loss. Aging can cause your hair loss. 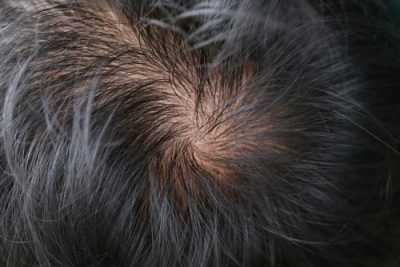 If you have diabetes, this could cause hair loss. Are you using products on your hair that are full of chemicals? This could be causing your hair loss. Once you figure out or try to figure out why you are losing hair, you can start by making changes to your diet. One of the first ways for you to stop hair loss is by focusing on your protein intake. It is important that every human being get enough protein in their diet. 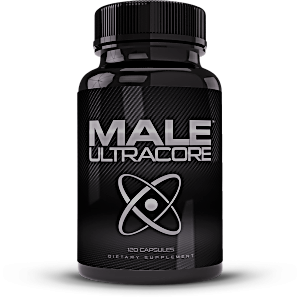 This is one of the best things to get into your body so you can improve upon your energy levels. Also, protein is one of the top sources to get in order to improve the forming of more blood cells. These blood cells will then bring nutrients and oxygen to the follicles of your hair to help stimulate hair growth. Are you getting enough protein in your diet? Do you eat enough collard greens, kidney beans, spinach, yogurt, cottage cheese, eggs, chicken, lean meat, salmon or other protein foods? These are the foods that will help in promoting more production of keratin to improve hair growth. If you aren’t getting enough protein, make sure to add more into your diet. 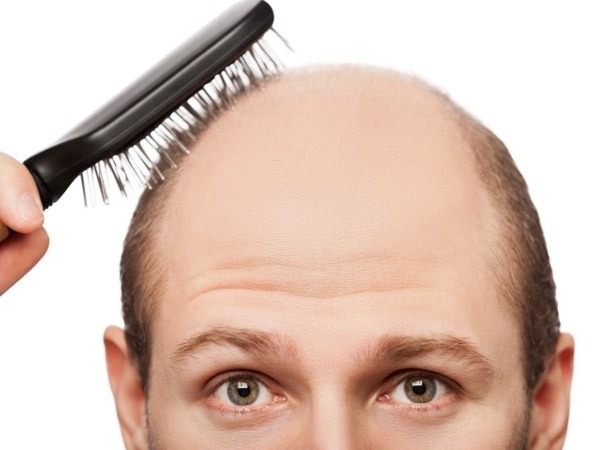 Another way you can stop hair loss is to focus on Vitamin B. Everyone needs to maintain the levels of Vitamin B in their system. This will help in managing various aspects of your health along with helping with hair growth too. You can get more Vitamin B in your diet by eating garlic, tuna, potatoes, avocado, sunflower seeds, brown rice, soybeans, oats, green peas and other Vitamin B foods. These are going to keep your hair healthy and strong. If you aren’t getting enough Vitamin B in your diet, start adding these foods in right away. You should also be getting enough iron in your diet if you want to end hair loss. If you are iron deficient, that could be leading to your hair loss. You can get more iron in your diet by eating more red meat, dark green vegetables, leafy green vegetables, dried fruits, egg yolk and other iron filled foods. If you aren’t getting enough iron in your diet, make sure you start eating more of these foods if you want to stop hair loss. You now have quite the list of foods that you need to start eating more of if you would like to end hair loss. No matter what your age, hair loss can be scary. If you have or had a great head of hair that you don’t want to lose, you need to make sure you are eating the right foods and you can start by eating more of what was mentioned here.